Nicaragua embraces travelers with its diverse offerings of colonial architecture, sensational beaches, idyllic islands, wave-battered pacific beaches and awe Inspiring volcanic landscapes. 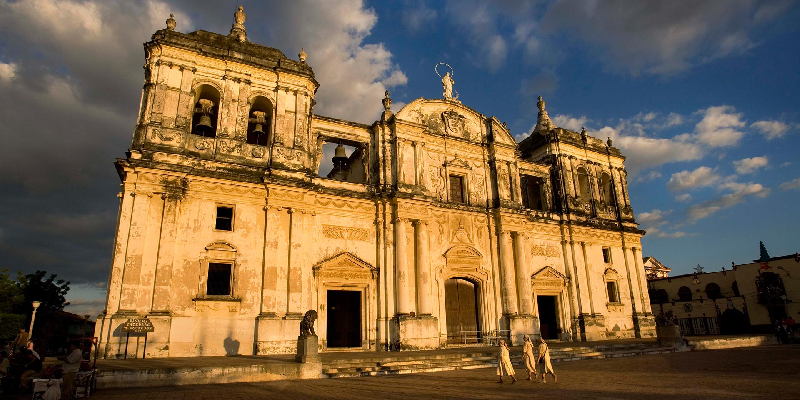 Nicaragua&#39;s oldest town is also its most charming and photogenic. We use this city as the base of your adventure. You’ll spend two days walking along the gorgeous cobblestone roads that take you from one inspiring church to the next. You’ll then venture out into the countryside for trips to nearby attractions. A city buzzing with energy and a unique beauty, León is what Managua should be—stunning streetscapes, cosmopolitan eateries, fiery intellectualism, and an all-week-long, walk- everywhere, always-happening nightlife. Travelers fall in love with Granada, but they leave their hearts in León. Ometepe never fails to impress. The twin volcanic peaks rising up out of Lago de Nicaragua have captured the imagination of everyone, from precolonial Aztecs to Mark Twain. Not many travelers make it out here, but we like to spend two nights really taking in the natural beauty that is in abundant supply here. The town itself is the hub for exploration of Nicaragua&#39;s pristine Pacific beaches. With its enchanting Victorian houses, a towering statue of Christ, and beaches brimming with young and beautiful international travelers and surfers, this is Central America&#39;s beach party central. Learn more and join our 2019 hosted tour!